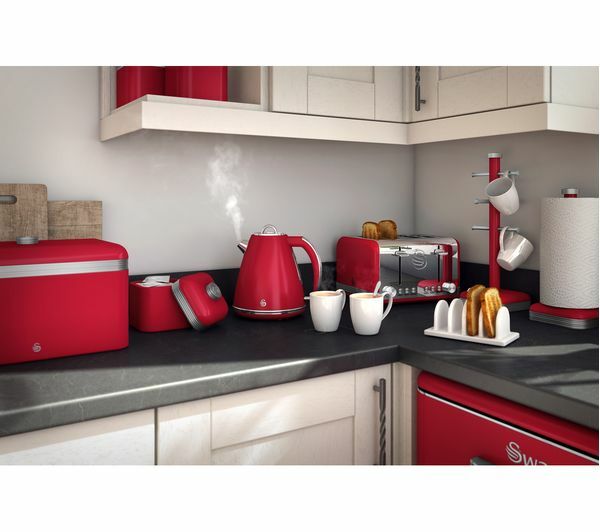 The Swan Retro SWKA1020RN 1-litre Canisters helps keep your Darjeeling or English Breakfast teas fresher for longer. 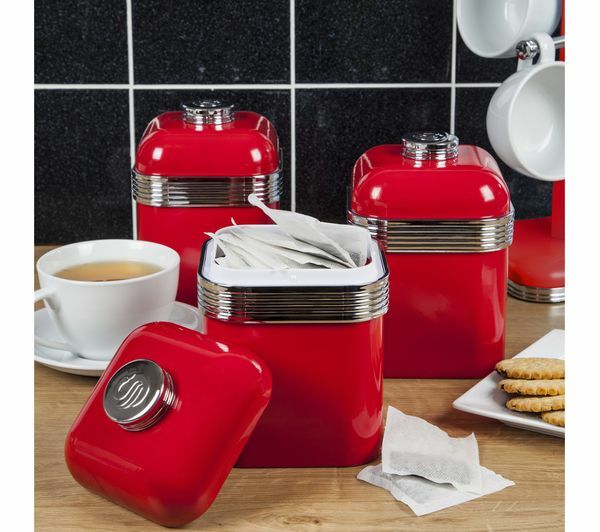 Use the matching canisters to store pasta, rice and spices, or other perishable foods and condiments. 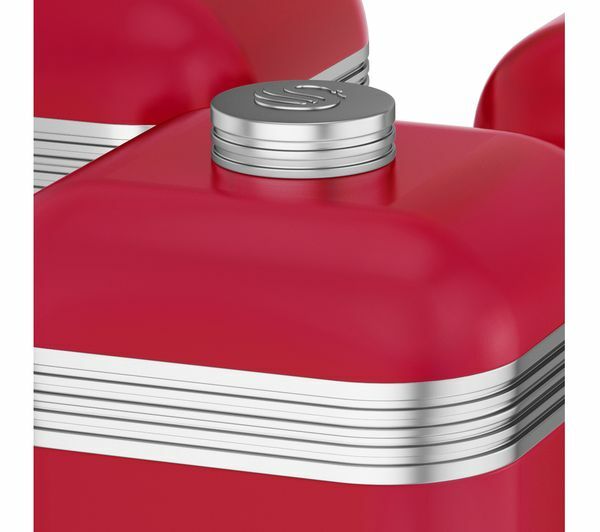 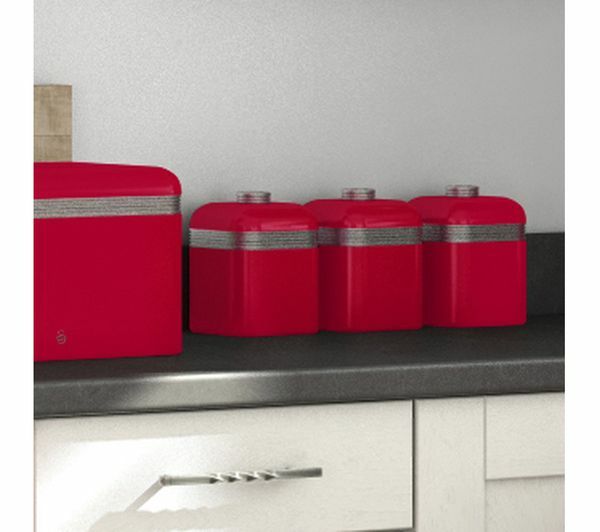 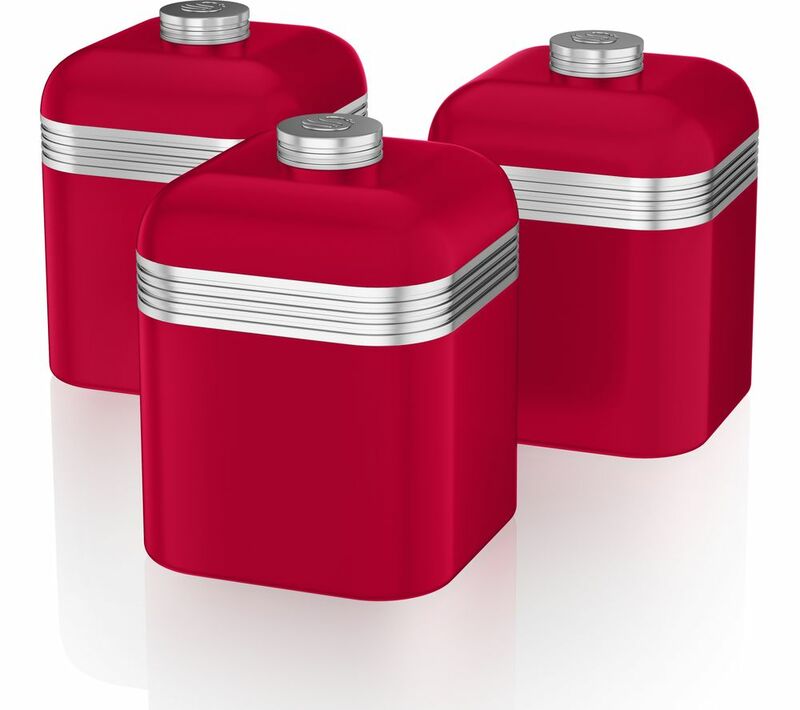 The Canisters have a sophisticated design with chrome-plated lids, and will enhance the look of any kitchen countertop or dining table.